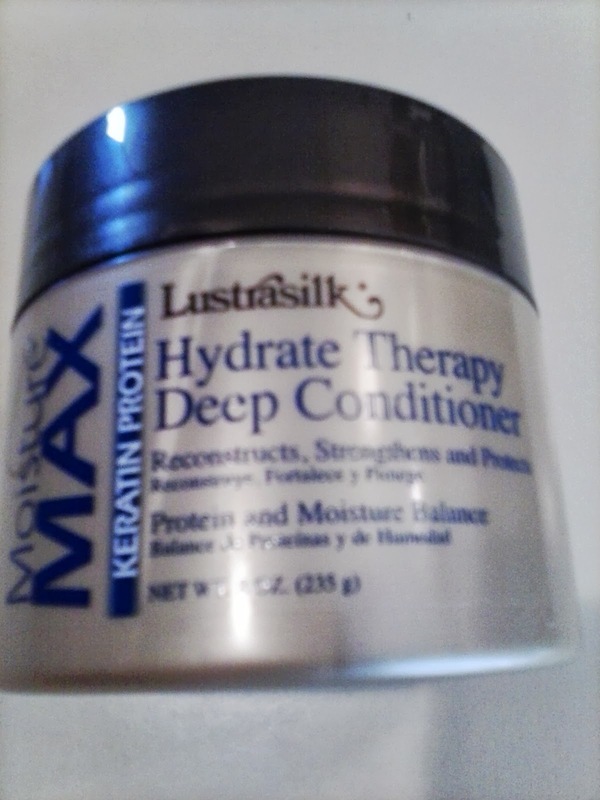 Loving Dee Naturally : Lustrasilk Moisture Max Keratin Hydrate Therapy (Protein) Deep Conditioner ""
I wanted to briefly share this new deep conditioner that I've had in my closet for a while that I just used. Now, while I do try to use my own homemade products for my hair I've not focused or taken the time to formulate my own deep conditioner, yet. So I do peruse the beauty supply shelves for a product as close to natural as I can find. I've been a little hesitant to use it full strength b/c my hair cannot take a lot of protein; it will get hard and stiff. I found that out when I put several heaping spoonfuls of mayonnaise in one of my deep conditioners and my hair came out very stiff. After much reading and researching I finally realized that I had used too much mayonnaise...too much protein. So my hair can take some protein but only moderate amounts. I feel this product could be classified (at least for MY hair) as a moderate protein treatment. 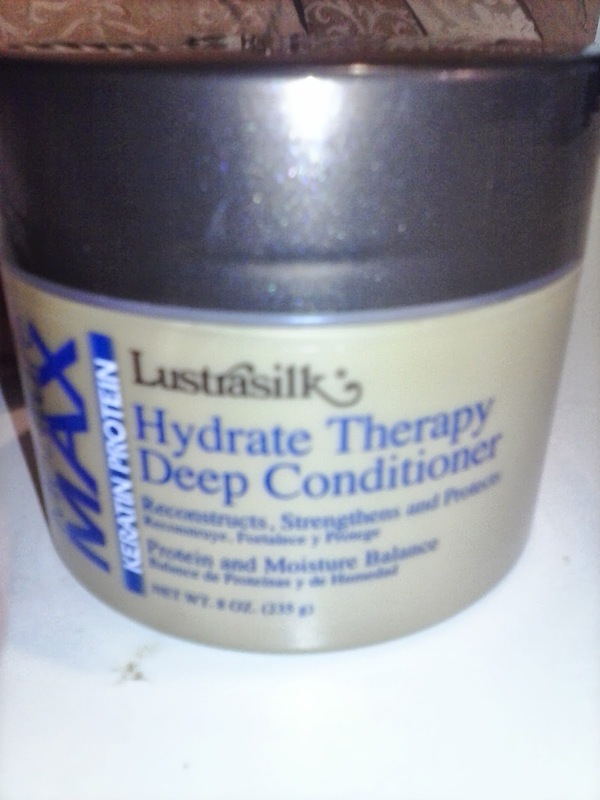 I thought this protein deep conditionerwould be more than a mild protein treatment b/c of the major proteins(bolded and italicized) in the ingredient list. Well, after I used this product my hair felt just right. This product claims to provide a "balance" of protein and moisture and I would say it did just that for me - not too hard and not too soft. I applied this deep conditioner to my hair freshly cleansed hair and sat under my heating cap for 20 minutes so that the heat could allow the conditioners and protein to penetrate my strands. So as it turns out I consider this product to be a moderate protein treatment. My hair had just the right amount of softness and firmness(strength).